Before there was “The Beach Boys,” there was a garage band called the Pendletones, formed by three brothers, a cousin, a friend and a domineering father whose own show business dreams had never come to fruition. The harmony vocals of the 1950s and the surf sounds of the early ‘60s provided the ambitious Brian Wilson stepping stones to musical immortality, and these two discs of pre-Capitol sides paint the most complete picture yet of Wilson’s first steps towards the beach. From the Fall of 1961 until their signing to Capitol in the Spring of 1962, the Beach Boys recorded nine songs for Hite and Dorinda Morgan, with “Surfin’” b/w “Luau” released as a single on the Candix and X labels. The A-side charted at #75 nationally, but was a huge local hit on Los Angeles’ powerhouses KFWB and KRLA. 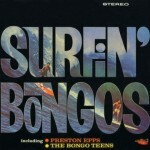 The group recorded additional material for the Morgans, including Beach Boys icons, “Surfin’ Safari” and “Surfer Girl,” but only one other single, “Barbie” b/w “What is a Young Girl Made Of” was released in the U.S., and then with Brian, Carl and Audree Wilson singing under the name Kenny and the Cadets to pre-produced backing tracks. 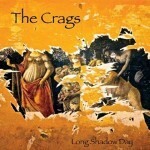 The rest of the recordings were consigned to the vault, coming to light only after the group had established themselves on Capitol. Omnivore’s two-disc set gathers together the pre-Capitol master takes and all of the extant session material, including demos, rehearsals, studio chatter, false starts, overdubs and alternates. At sixty-two tracks covering only nine songs, this set isn’t for the casual listener, but for fans who have imbibed every detail of the masters, it’s a welcome peek into the group’s embryonic creative process. Among the most surprising elements of this set is the fidelity of the tapes. It may not match what Brian himself achieved at Goldstar and elsewhere, but even the demos are clean and the studio productions are quite crisp. That said, take after take of the same song, often with only minute differences to break up the repetition, is both a revealing and an exhausting experience. The sessions document the arduous job of capturing a perfect live take from a nascent group with no studio experience, the group and their producer gaining confidence on each track as they try it again and again. Though there was limited overdubbing of guitar leads and lead vocals (and for “Surfin’ Safari,” a ragged stereo mix), the core of these takes are a quintet posed around microphones, hoping that no one screws up. 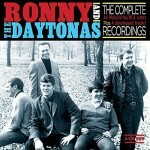 On the surface, Ronny and the Daytonas’ “Little G.T.O.” is a classic mid-60s California surf & drag hit. The song is super-stocked with a driving beat, period hot rod lingo and a falsetto hook worthy of Jan & Dean. But the song wasn’t produced in California, nor was it even the product of an actual group. The eponymous “Ronny” was actually John Wilkin, son of country songwriter Marijohn Wilkin (“Waterloo” “Long Black Veil”), the Daytonas were an ad hoc aggregation of Nashville studio hands, and the session’s producer was Sun Records alumni Bill Justis. Even more surprising, “Little G.T.O.” was Wilkin’s first foray as an artist, and it launched a recording career that lasted into the early 1970s and spanned multiple record labels. The Pontiac G.T.O.’s 1964 debut proved to be a pivotal moment in automobile history, igniting a muscle car craze that engaged all four American car makers and spread quickly to popular culture. Wilkin was a high school student when his dual interests in music and cars were catalyzed by an article in Car and Driver. The result was the #4 hit, “Little G.T.O.,” with Wilkin’s nylon-stringed classical guitar providing the unusual solo. With a hit single on his hands, more originals were recorded, an album was put together, and a touring band was assembled to hit the road. The follow-on singles, “California Bound” and a cover of Jan & Dean’s “Bucket T,” charted, though without the nationwide impact of the debut, and “Little Scrambler” and “Beach Boy,” despite their teen effervescence, failed to gain any commercial traction. The lack of follow-on hits didn’t deter Wilkin, and working with Buzz Cason, he released the bouncy single “Tiger-A-Go-Go” (b/w the instrumental “Bay City”) under the names of Buck & Buzzy. The duo had more success with the Daytonas’ second (and final) major chart hit, 1965’s “Sandy,” developing a softer sound with folk tones, lush backing vocals and strings. 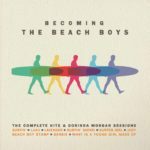 The corresponding album offered more introspective lyrics than the earlier surf songs, and reflected the sort of growing sophistication heard in the Beach Boys’ contemporaneous releases. Strangely, 1966 started up in reverse with the non-charting single “Antique ’32 Studebaker Dictator Coup,” a track lifted from the 1964 Little G.T.O. album. 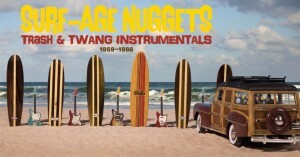 It’s no accident that this deluxe 4-CD set uses the word “Nuggets” in its title; this is an apt reference to Lenny Kaye’s landmark 1972 compilation of psychedelic and garage rock. 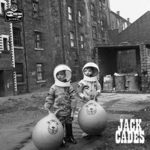 An even better touchstone, however, is Bomp’s follow-on series of Pebbles releases, which dug deeper into the world of one-off local and indie releases. In that sense, Surf-Age Nuggets is the Pebbles (with a touch of Las Vegas Grind) to earlier anthologies of major label releases, hit singles and nationally-known acts. Producer James Austin (who previously helmed Rhino’s Cowabunga! The Surf Box), focuses here on the impossibly rare and ephemeral: obscure singles that barely managed local distribution, with just a hint of rarities from a couple of well-known names. The result is a magnificent musical essay on the scene that flourished in the wake of surf music’s brief rise to commercial popularity. Dozens of earlier collections have explored this DIY wave, but never in the luxuriousness of this set. 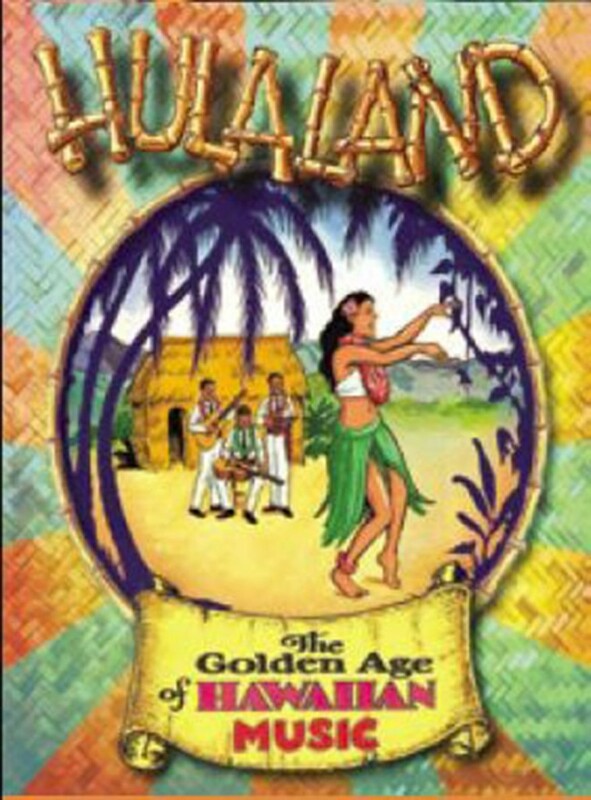 Not only are the discs stuffed with 104 tracks (including a sprinkle of period radio spots and a 16-minute bonus montage hidden at the end of disc four), but the collection is housed in a wide 11 x 6 hardcover with a 60-page book of liner, song and band notes, full-color photographs and reproductions of picture sleeves, posters, period ads, comics and other ephemera. Although the material was sourced primarily from early ‘60s vinyl, unlike the first-state (that is, pops-and-clicks intact) condition of many collections of vintage singles, mastering engineer Jerry Peterson worked some very special voodoo in cleaning up the digital transcriptions. The complete lack of surface noise is a bit eerie, but the results remain largely true to the powerhouse mono vibe of a vintage 45.